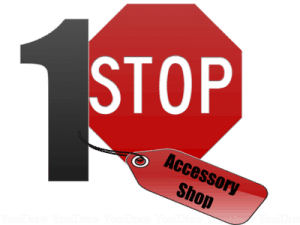 On road or off the beaten track, Australia’s first choice for 4X4 Suspension and Accessories is Ironman 4X4. Whether you use your 4X4 as a family vehicle or as an off road explorer, Ironman 4X4 has the products that will deliver the comfort and safety you demand. Ironman 4×4 products have been developed in the harshest proving ground in the world, Australia. Sold in more than 120 countries. For over 50 years customers have put their trust in Ironman 4X4 because Ironman 4X4 delivers quality and value for money. So, get outdoors with Ironman 4X4! Bull bars are one of the first accessories to be added to any 4X4, improving your approach angle and significantly improving your frontal protection. 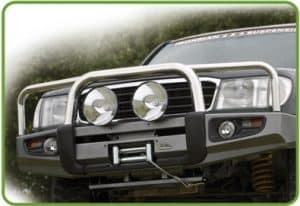 Ironman 4X4 bull bars help protect your vehicle from animal strikes when driving on remote roads, and provide convenient locations to mount other 4X4 accessories such as winches, lights and aerials. Designed, engineered and tested in Australia. Every Ironman 4X4 Bull Bar is carefully crafted from premium grade materials and components to deliver the most comprehensive frontal protection and styling available. Carefully modeled using precision 3D vehicle scanning techniques to achieve optimal cosmetic design whilst providing maximum vehicle collision protection. All Ironman 4X4 bars are winch, airbag and ADR compatible to ensure you and your family’s safety isn’t compromised. Whether you are just stopping on the side of the road for lunch, or setting up camp for a week, the Ironman Instant Awning will provide you with much needed shade from the sun. 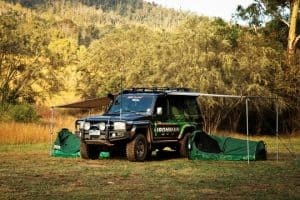 Get outdoors with Ironman 4X4 and their extensive range of products, which include bullbars, winches, camping, fishing, fridges and so much more! To find all that you’re looking for to get outdoors with Ironman 4X4, please call us today!